The Propaq® CS Monitor features a bright, full-color touchscreen display for continuous vital signs monitoring in hospital environments, during conscious sedation, and pre and post-operative care. This model actively monitors 3-or 5-lead ECG, Sp02, NIBP, Pulse rate, respiration, temperature in neonatal, pediatric and adult settings. 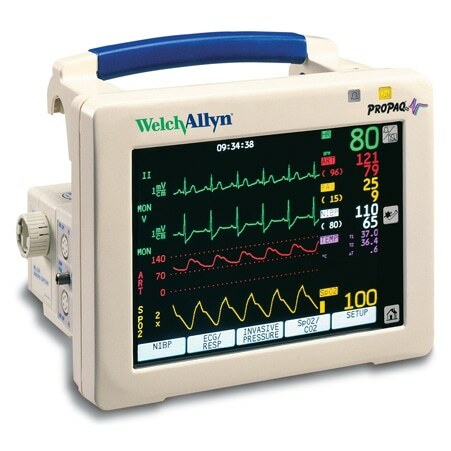 Optional features include: sidestream, mainstream or dual stream capnography, 1 or 2 invasive blood pressure channels, integrated printer, and connectivity to Acuity Central Station.